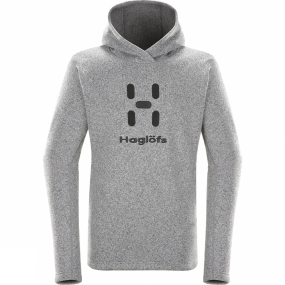 Haglofs' super-warm Swook Logo Hood is a classic embroidered hoodie, made to the highest environmental standards. It's knit from heavy yarns for warmth and comfort, and like the other items in the range it's made with thick pile fleece for warmth and comfort. It won't chafe or bunch when you layer it: it will just keep you comfortable.